Release Date Of The Latest Malayalam Movie Koothara Is 13th June 2014. Koothara Malayalam Movie Is Releasing On This Friday, 13th June 2014. This Is The Latest Movie Of Mohanalal After Mr.Fraud. Mohanlal in an extended cameo role In The Movie Koothara. 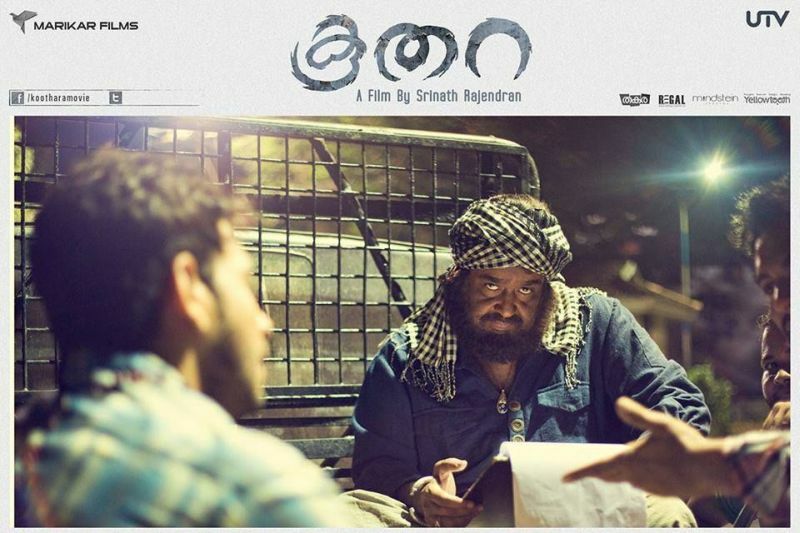 The Name Koothara is Taken from The First Letter Of The Lead Actors Of This Film , Koobrin , Tharun and Ram. Mohanlal is Playing the Role of Usthad Saali In The Movie Koothara. Bharath as Koobrin , Tovino Thomas as Tharun and Sunny Wayne as Ram are lead actors. Bhavana, Janani Iyer, Gauthami Nair, Shritha Sivadas, Madhurima are The Female Leads of The Movie Koothara. This Movie is Distributed by UTV Motion Pictures In India and PJ Entertainments In Europe. This Malayalam Film Is Written by Vini Vishwa Lal and Directed by Srinath Rajendran. This is The 2nd Malayalam Movie of Srinath Rajendran, Second Show is The Debit Film Of Him. Produced by Shahul Hammeed Marikar Under The Banner Marikar Films. Koothara is a Mystery Thriller Film. Baburaj, Ranjini, Neena Kurup, Arun Benny are The Co-Stars of This Movie. Gopi Sundar Is Composing The soundtrack and background score. The Music Of Koothara is Released, Bye Bye ( Sung By Rita Tyagaragan and Gopi Sundar) and The Country Song Jayen Varma. 13th June 2014 is Koothara Movie Release Date.